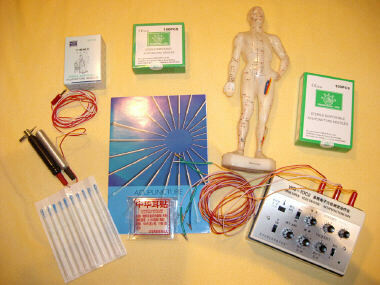 Acupuncture is one of the most popular and successful therapies in alterative medicine. Acupuncture is a healing method using sterile fine disposable needles to stimulate channels of energy. This affects the change in the balance of the body, stimulates its healing power and works to restore health. Acupuncture is a safe treatment for all, even pregnant women and babies. It is highly effective in treating pain related problems such as back pain, sciatica, frozen shoulder, headache and period pain. Many people come for acupuncture for help with specific symptoms or conditions like anxiety, arthritis, asthma, depression, circulatory problems, infertility, high blood pressure, ME, MS, skin conditions and a lots more. Some people have acupuncture for addiction problems such as smoking, alcohol, food or drugs. Acupuncture can also be used as a preventive measure to strengthen their constitution. It can also be used alongside conventional medicine in the treatment of both acute and chronic disease. Medical research has proven that acupuncture releases endorphins and other helpful chemical substances in the body and stimulates the organs thereby regaining a physical balance. For example: needling acupoint SP6 (San Yin Jiao) can improve the immune system, needling ST 36 (Zu San Li) can regulate the physical movement of the stomach and the secretion of gastric juices. This varies with each individual. Acupuncture needles are much finer than needles used for injection. When the acupuncture needle is inserted, the practitioner uses a special technique to help the energy flow throughout the body - this is an unusual sensation, it's often described as tingling or heaviness, but one which most people find pleasant and relaxing.